In addition to the fixed-network solution medMnet modi the telemedicine partners in the medMnet network have added a solution ideal for communication on the move, medMnet datmobil. The telemedicine partners are now available to their patients with the introduction of near nationwide coverage. Using the broadband 3G/4G networks of Deutsche Telekom AG to provide the quick and reliable exchange of medical information with up to 100 Mbit/s. The high bandwidth allows the implementation of real-time video communications in high quality, subject to availability of mobile networks at each location. Using MEYTEC’s software-based Virtual Private Network (VPN client) solution, all mobile users of the telemedicine network have an encrypted access to medical data over large distances. Thanks to the gradual structure of flat rate, customers do not bear any unexpected costs, even if the telemedicine network is used for more time. For MEYTEC’s German customers, we have developed together with our partner Deutsche Telekom AG, optimal data transfer rates with fixed prices. 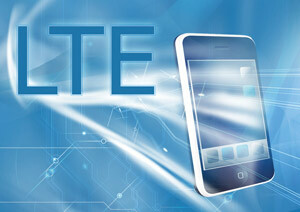 For use of the special rates the participants need only to have an HSPA/4G compatible device. After setting up and activation of the data connection by MEYTEC, the telemedicine network is fully available for the user. Use of high-quality system components "made in Germany"